Pancake aficionado? Sick of eggs for breakfast? Or simply need an energy pick-me-up? 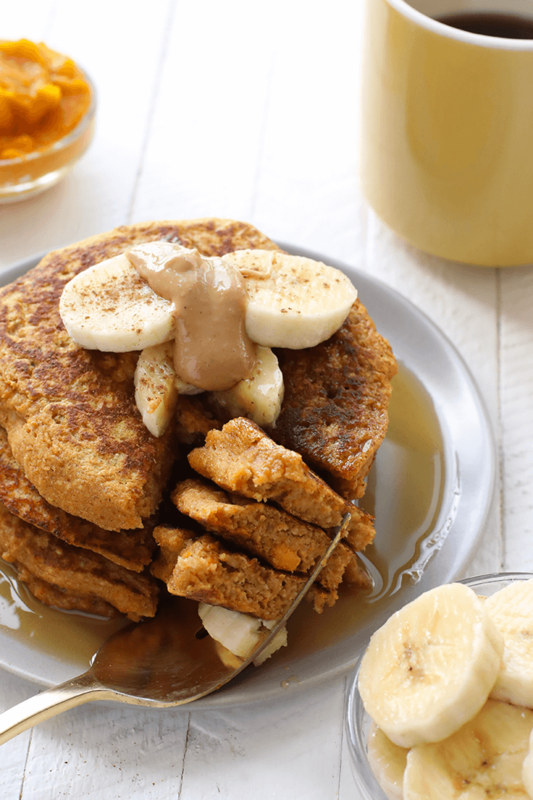 Then Fit Foodie Finds’ Sweet Potato Power Pancakes are just for you! Simply mix eggs, flour, and sweet potato puree to make a delicious and nutritious batch of pancake! Top with sliced banana, sprinkle of cinnamon and a dollop of nut butter – breakfast of champions! Want to try the recipe? Visit Fit Foodie Finds for the full recipe!